Dental injuries (or trauma) can happen in many of the same situations that produce other kinds of injuries: a fall, a sports mishap, or an automobile accident. But they can also occur when you’re not doing something obviously risky — biting into your lunch, for example. As with any type of health crisis, the best time to start thinking about what you would do in a dental emergency is before you actually experience one. When you’re seeking treatment for an injury, your first instinct might be to rush to the emergency room. That’s appropriate for a deep cut or a broken bone, and it’s the best thing to do in any situation that could possibly be life-threatening. But if the injury only affects your teeth, the dental office is the best place for you to receive treatment. The special training, equipment and expertise of your dental team will ensure the best possible outcome for your smile. A permanent tooth that has been completely knocked out of the mouth requires the quickest response of any dental injury. Find the tooth and pick it up carefully without touching the root. Gently run some water over it, and then try to put it back in its socket, facing the correct way. If that’s not possible, put it between the cheek and gum or in a container of saliva or milk. Then get to the dental office as quickly as possible, to give you the best chance of saving the tooth. Baby teeth are usually not replanted, because doing so could damage the permanent tooth that is forming beneath the gum line. However, any child who has suffered a knocked-out baby tooth should still be examined by a dentist. Sometimes, preventive treatment is needed to ensure that other teeth don’t move into the empty space before the new tooth comes in. Teeth that have been pushed out of position but not knocked out of the mouth also need urgent care — ideally within six hours. The injured tooth will likely be stabilized with a splint; it may also need root canal treatment. A tooth that is broken off at the root or deeply fractured may have to be extracted. Smaller chips and cracks can usually be repaired. Not all tooth pain constitutes a dental emergency. 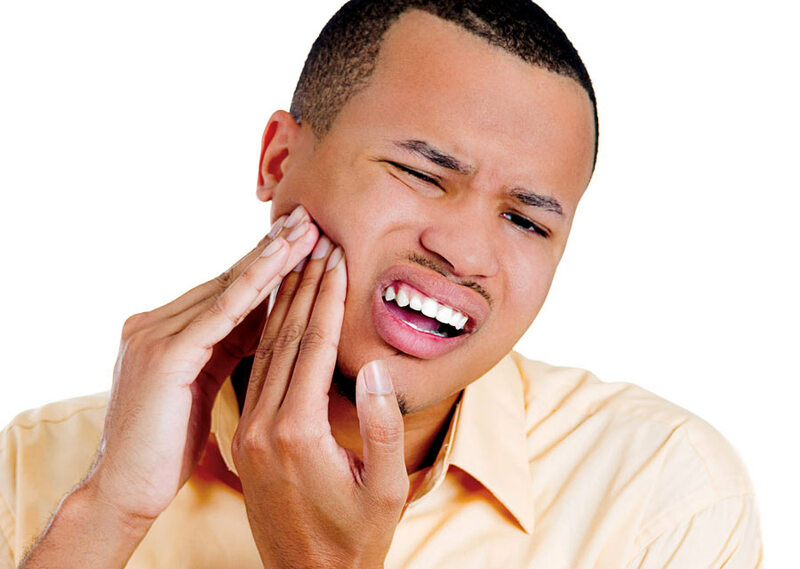 But the cause of any toothache or persistent pain needs to be identified and treated. The first thing you should do is look at the tooth in a mirror under good lighting. Is there something (a bit of food or foreign matter) stuck there? Sometimes gently flossing around a tooth that hurts will dislodge an object that has caused the area to become inflamed. This should make it feel better almost immediately. However, if you can’t identify the source of the problem, and the pain doesn’t go away, make a dental appointment. This can wait until the next day, unless the pain is unbearable or is accompanied by fever. If either of these things is the case, go immediately to the emergency room in case there is a serious infection. Don’t use your teeth as tools. Tearing tape, cracking nuts, or holding nails can damage your teeth. Break bad oral habits. Don’t bite your nails, chew pencils or crunch ice cubes. Get dental care as soon as you notice a problem. A tooth weakened by a longstanding dental problem is more likely to break. So if you feel pain in a tooth or notice a filling has come loose, don’t let things go. Get a mouthguard or a nightguard if you need one. People who grind their teeth at night should sleep in a nightguard to prevent damage to their teeth. And those who play sports need the protection of a mouthguard. Both can be custom-made for you or your child at the dental office. By taking a few proactive steps and knowing what to do if trouble strikes, you’ll be able to keep your smile safe, healthy and beautiful.